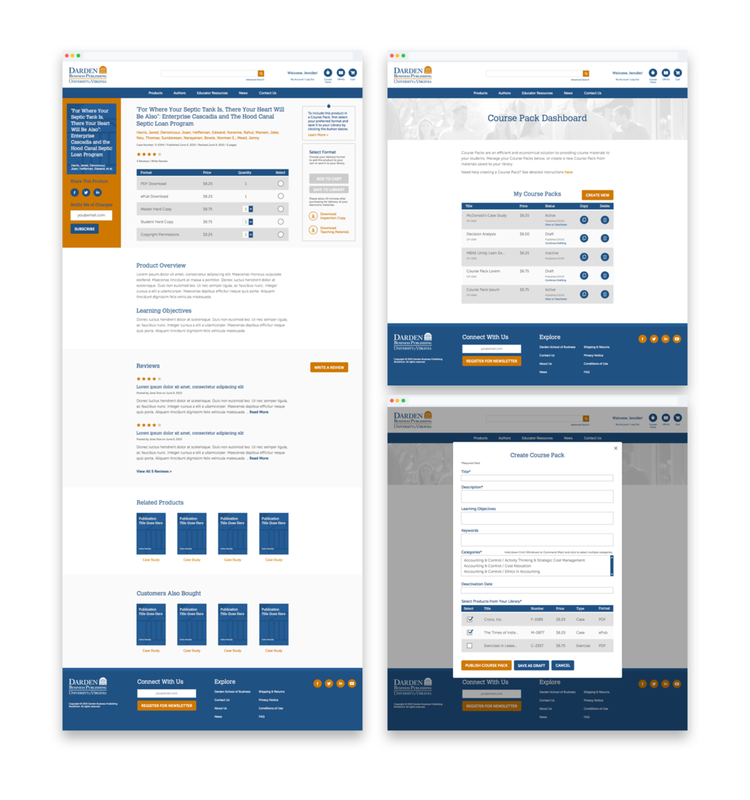 The University of Virginia's Darden School of Business approached Convoy to redesign the website for Darden Business Publishing, the primary resource used by Darden faculty and students for publishing and purchasing course materials. Convoy was responsible for strategy, design, and front end development, but Darden wanted to preserve their existing CMS provider, who would integrate our work the with the existing backend. Our task was to take an antiquated, unresponsive, and often confusing system and remake it in a modern, user-friendly way without demanding any major changes in functionality. As a result, this was a fascinating exercise in manipulating UX and UI within tight boundaries to produce a far superior system with looks alone. I took charge of the UX and UI, and worked closely with our dev team in order to deliver major improvements to Darden's existing system. 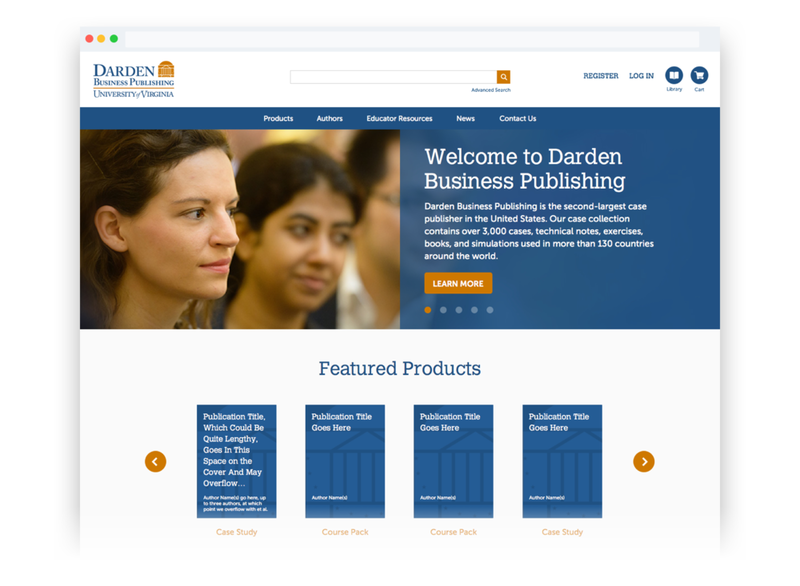 The primary users of Darden Business Publishing are instructors producing course materials for their students, and students downloading those materials for their studies. The previous semester, Darden had recently unveiled the ability for faculty to produce Course Packs, collections of individual materials that students could purchase in one go and at discounted prices. But the system for creating course packs was so counterintuitive and frustrating to use, that at the time we began design, only a handful had been prepared at all. The student experience of purchasing materials was also confused by a plethora of available formats, none of which were explained in situ on the product pages. We redesigned the whole "Add to Cart" experience to provide more context, and then made the whole thing work responsively—because after all, if you can't do your reading on your iPhone fifteen minutes before class, are you even in graduate school?